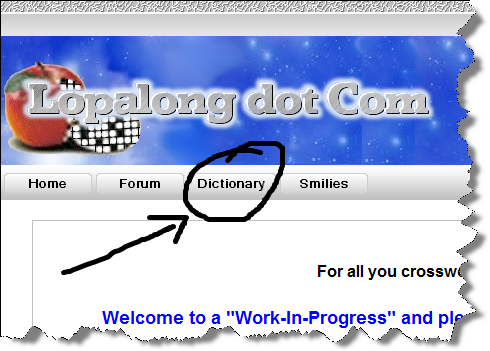 Old Support Topics :: How To Integrate A Dictionary Into IcyPhoenix Like Lopalong.com ? How To Integrate A Dictionary Into IcyPhoenix Like Lopalong.com ? Location: Fron USA. Origin of Quiroga, Michoacán, México. Who do I install the dictionary like Lopalong.com site? Is a MOD for IcyPhoenix the one you use? I want this MOD or something and installed on my site. Is this possible? how can we do this? and we want you to adapt that dictionary of our language and our forum. Ver. : Icy Phoenix 1.2.0.27c - Clean Install. Re: How To Integrate A Dictionary Into IcyPhoenix Like Lopalong.com ? What I'm about to say is a little off-topic, but I think it has to be said. Thank you so much for adding a little information about your setup in your post. You'll never know how much time you save the folks that help around here. Thanks for your interest in the dictionary. But the one you see at lopalong.com is integrated into IP and gets fairly complicated with adding and integrating it into the many different styles and configs etc, and subsequently wont be available as a MOD. I do however have a stand-alone dictionary that I created as a prototype prior to modifying it further and adding it to Icy Phoenix. It does the same thing, but the only difference is that is not integrated so WYSIWYG theme-wise. And if that's what you want, let me know and I'll make a copy available for you - minus all of the English dictionary content. The upside of having a stand-alone dictionary is that you will never have to upgrade it, or require any other particular software to run it under. Yes please I want the copy. I´m going to try to integrate into my IcyPhoenix. And if I have any problems and questions I´m going to write back. Thanks my friend Lopalong for response and help to me. I've attached the stand-alone "Dictionary" here because all it really is, is a selectable bunch of pages using .php to cut down on the overhead if it was instead written in html. Now, you're using IP27* and I don't really want to give any help going backward to get this to work again with that version. I did have it for IP27 - removed it and all IP27 stuff when the RC's were released because the code is somewhat different. If you have XAMPP or similar installed on your PC, and you are prepared to code it backward yourself, or if you upgrade your site to RC* - I will gladly give you a full working copy of the Dictionary and a modified style (That includes other components) to go with it for the RC* only. But not knowing your expertise, it seems pointless for me to take the time to put the latter version together for you, and then be hopefully expected to maybe help revert it back to what I have already removed. So when are you going to upgrade ? Well it's not really meant to be used just for a "Dictionary", it can be used and extended for anything that requires indexed pages. I hope people find it useful for that and maybe post what they have applied it to other than an unfinished dictionary. ... if you upgrade your site to RC* - I will gladly give you a full working copy of the Dictionary and a modified style (That includes other components) to go with it for the RC* only. Hello my friend Lopalong. Now a have installed de latest IP (1.3.0.53) on mi site. Maybe you save one copy for this Dictionary on you computer? Please, can you give me a "Full working copy of the Dictionary" ? I have "Floreal" theme installed on my site and IP. Thank you so much for helping us always! Ver. : Icy Phoenix 1.3.0.53 - Upgrade Install.